I crossed Zoey in Pupin once again. He gazed into the depths of my navel with his dark, stormy, viciously piercing eyes. He tends to do that. It turns me on slightly but then I remember my chastity vow and cross my heart as I lower my eyes. The imprint of his handsomely Kafkaesque face bores into my heart even as he fades away. Every conversation about Zoey brings me back to his eyes. They’re special. Perhaps his obsession with eyes permeates across the stuffy air that separates us in the hallway at Pupin and swallows my most intimate desires. Zoey doesn’t know that I know, but I do know. I know that he’s cross-breeding guppies in the atom-splitting room in Pupin just so that he can create a species with enormous bubble-eyes. He doesn’t want me to know because I tattle tales just like Honest Abe did. Diary, you know that it’s not something that I can help. But I can keep this secret. Just like I repress my urges for Zoey, I can repress my desire to talk about the incredible things that he does in that building. Don’t tell anyone that I told you this, Diary, but there’s a hidden alcove in Pupin. It’s like the Chamber of Secrets. There’s a pool in there. Water drips there from the tears of all the students in the Intro to Physics class. Zoey uses this to raise guppies. 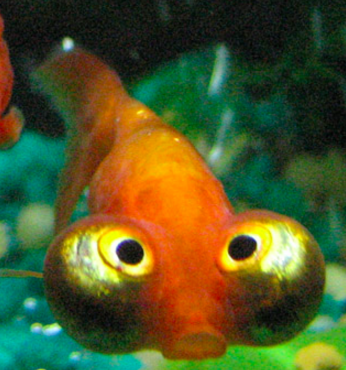 He selectively breeds them for their bubble-eyes. If their eyes aren’t bubbly enough, he turns off the smoke alarm in his dorm room and barbeques them. He tells his friends that it’s shark meat because he knows that they would never eat a guppy. I will never tell anyone any of this. I want him to know that I keep his secrets safe. I want him to know that I am trustworthy enough for him to enter my Chamber of Secrets. Perhaps if I round my eyes a little, they’ll look bubble-eyed too? Good night, my love, my precious, my guppy.